The following is a rewrite of a piece I did a few years ago and which was recently published on Medium under the title Selfie Awareness. It outlines and experience I had which taught me more about being conscious with trying to capture the moment with photos and selfies. A few years ago, I was in Paris for the first time, visiting the Louvre, perhaps the finest art museum in the world. While there were many paintings I’d been waiting my entire life to see, and I know I’m cliché here, the Mona Lisa was primo on my list. I mean, almost 60 years ago, they tried to insure the Mona Lisa for 100 million dollars* but had problems because many felt that the sum was much too low, and that was 1960s dollars. Today, they value the painting at closer to 800 million! Fun fact: Napoleon used to have the Mona Lisa hanging on his bedroom wall and would spend hours in rapture starting at it. So finally here, and giddy with anticipation, I stepped into the spacious, well-lit gallery, dying to get a glimpse of the most (in)valuable painting in the world. There she was at last! At a distance, I could see the renaissance rockstar enshrined on her own dedicated wall, protected behind a guardrail and bulletproof glass, and flanked by two bouncers. Suddenly, the hallowed hush of the Louvre was irreverently replaced by the din of excitable tourists. As I approached her, I felt pressed in a hot vice of adoring fans, all craning to ogle the most mysterious woman on canvas. The venue felt transformed into an arena at a rock concert where I was squeezing through hordes of fans, desperately hoping to making eye contact with that infamous seductrice and her inimitable half-smile. As I jockeyed my way forward, I began to notice something very peculiar. Nobody was looking at the paining. Not really. Rather, everyone was looking at the viewfinder on their smartphones, tablets, and cameras. 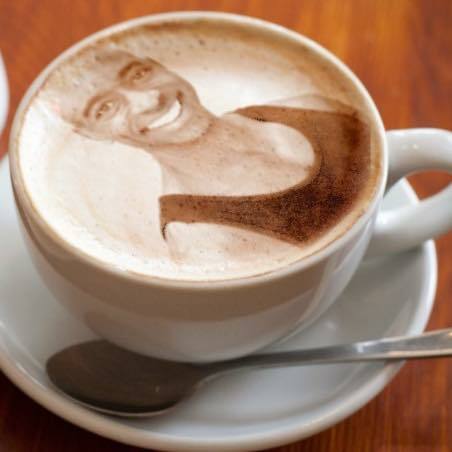 More than taking a moment to drink in this priceless work of art, most people were worried about getting the perfect photo of it. And as I looked around at the crowd, I noticed a distinct pattern. People would fire off several photos, including a few selfies with the Mona Lisa, then without so much as a pause, would scurry off to some other masterpiece to do likewise. For what? To brag to their friends that they were in the same room as the Mona Lisa but never took a second to actually see it? Something about this phenomenon is natural human behavior. Hasn’t everyone been guilty of experiencing something extraordinary, a resplendent sunset, an aromatic cup of coffee, or a masterpiece like the Mona Lisa, and we’re afraid the moment will end, so we try to capture it with a photo because doing so and posting it to social media will somehow make it permanent? This is when you look up to see your friend’s eyes gloss over or start to check their watch. The photos don’t translate because the optics of the picture represents only the smallest part of what you hopefully experienced in the moment. Or which perhaps you didn’t experience . . . Trying to capture any moment ironically prevents you from having it in the first place. It’s because you’re thinking about the future rather than experiencing the present. To really experience a moment requires a practiced presence with all of your senses. Your senses are an incredible tool for presence. 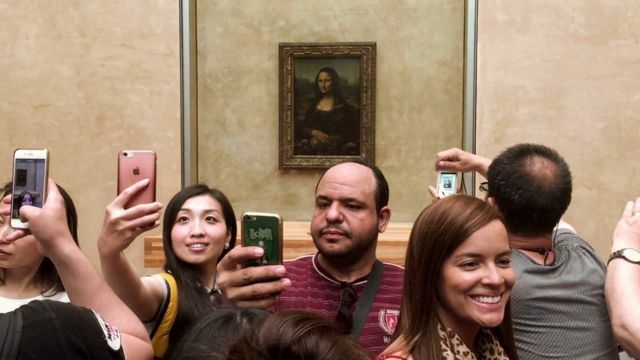 Without being present to the experience, when you’re back at home, looking at your dozen or so selfies with the Mona Lisa, you’ll have no connection to that moment. The photos will mean about as much to you as they would to your friend whom you abused with photos of your latte The photos won’t recall an experience you thought you had because you never really had the experience to begin with. And this is getting a little Zen here, but since our identity is the product of our ability to pay attention, if you weren’t present with all of your senses, there was really no “you” to have the experience in the first place. I’m just as guilty as the next guy of trying to capture the moment with a photo. But by bringing my unconscious actions to consciousness, I can deliberately make a choice to do something different. So never take photos, right? Never post anything on social media? No, let’s not be luddites. But maybe try having the moment first, then if you want to, take a photo to remember a moment you truly experienced. This Free Relaxing Meditation will Change Your Life! And sometimes, try allowing yourself to simply experience a moment without a camera. Soak it up and be 100% there by consciously involving all of your senses, raw and unfiltered. Before there were cameras or smartphones, people had to use memories to recall experiences. Go old-school and create a real mental repository of experienced events. What did the light look like in the gallery? What does the smell of paint of canvas evoke to your imagination? What sounds did you hear in the gallery? What were the textures and temperatures you felt on your skin? How did it taste? And remember that if you try to taste the Mona Lisa you better be prepared to lose a tongue. I realize that it’s a little glib to simply say simply, “be present.” But practices like yoga and meditation help us to establish presence as our default when we are having any experience, whether mundane or extraordinary. And with presence, even an otherwise mundane experience can prove to be extraordinary once your come senses alive. Without presence, even the miraculous or priceless moments (read experiencing the Mona Lisa) will pass you by without leaving an impression. I’m thinking about those simple but perfect moments like hanging with our kids, focusing on good work, or experiencing live music, dance, or poetry. To receive the gift of these moments truly requires presence. 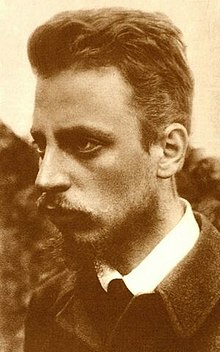 The immortal poet Rainer Maria Rilke speaks to being existentially destitute as the result of lack of presence in his rather stark poem, "Already The Ripening Barberries Are Red." and the old asters hardly breathe in their beds. will wait and wait and never be themselves. it’s all over for them, they feel old and tired. that draws them daily deeper into the depths. He’s saying that without presence, without any poetic imagination for things as they are or could be, you’ll never experience the heaven which is here. Indeed, he suggests that even the notion of God offering you a future heaven is itself like a stone drawing you deeper into the depths of hell, the product of unconsciousness. When you sense you’re having an extraordinary moment, or hell in any moment, try closing your eyes and run through all of your senses for a minute or two. Then open your eyes and add the most dominant sense. Ask yourself, how does this make me feel? Truly involve all your senses to practice being completely present to the experience. This might all sound like a Mr. Miyagi mantra and probably is. But hey, that dude could break boards with his forehead so that’s gotta count for something. Plus you can’t break boards with your forehead if your head is somewhere else. This week, I invite you to practice being fully present in all your experiences whether mundane or extraordinary. Be completely present by using all your senses and truly experience the moment. When that’s done, then you can take your selfie. Have you had an experience like this? Have you ever tried to capture the moment and realized that by doing so, you actually lost the moment? Leave your comments below. Do you mind sharing this with a friend? JOIN ME, ONLY A FEW SPOTS LEFT!